Following her will be Dr. Meryl Williams, Chair of the Asian Fisheries Society's Gender in Aquaculture and Fisheries Section and WorldFish Director General from 1994 to 2004. She will give a keynote speech on women's contributions to fisheries and aquaculture in developing areas, and the present achievements of and future prospects for women researchers and administrators. “Women in fisheries and aquaculture have few formal rights and little voice and are simply not counted in most official statistics,” Williams says. “Labor statistics for the postharvest and support sectors, where women are more numerous than in direct fish production, are not available or connected, leaving uncertainty over women's contributions. Yet many small studies have shown that women already make great contributions and, given the right policies and support, can make a transformative difference. 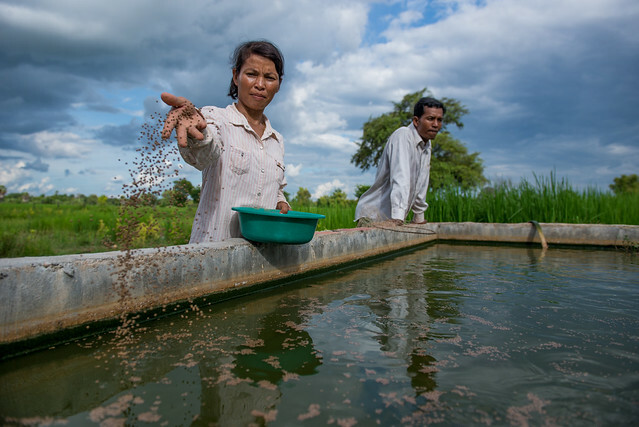 In the first session, Yumiko Kura, WorldFish Cambodia Country Director, will discuss the contribution of fisheries in achieving the SDGs from the perspective of women researchers. Using examples from projects led by WorldFish or FISH in Cambodia, Bangladesh, Solomon Islands and Zambia, Kura will underline the importance of fish for livelihoods, gender equality and employment (SDGs 1, 5 and 8 respectively) and the role of women in food security (SDG 2), both through their work in fisheries and, in many places, responsibility for household consumption. During the afternoon session, Bonnie Waycott, a freelance writer, will introduce the Women in Aquaculture series. The series was initiated by The Fish Site, a UK-based aquaculture news and information site, to spotlight leading women in global aquaculture and encourage more women to join the sector. So far, 50 women have been profiled.